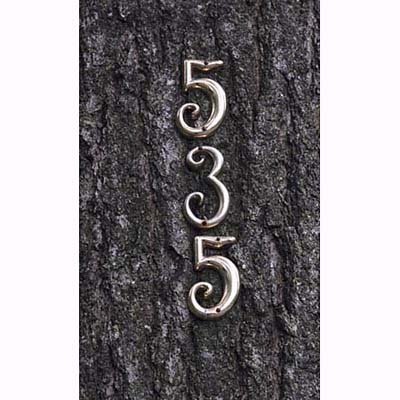 I found these house numbers at This Old House. Which one would you pick for your house? The one we have at home in Argentina is something like #6. We bought them in the beautiful city of Guanajuato in Mexico. 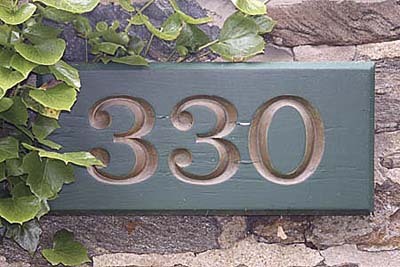 I selected just a few for this post but there are some more house numbers at This Old House. For my style house, I think I'd pick #7. Very simple, yet elegant. 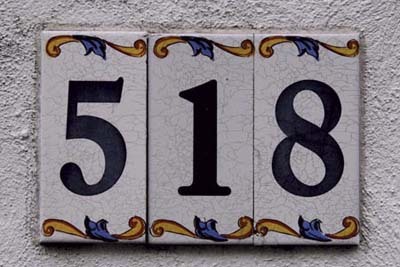 ... però quello che ho appeso furi la parete di casa mia è come il 518. 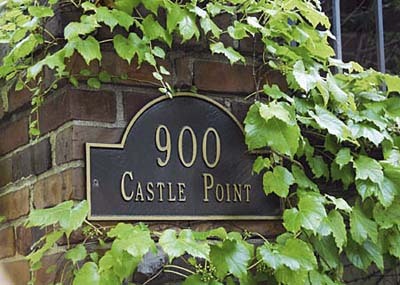 Traditional Placard would suit my house the best. All of them are great. 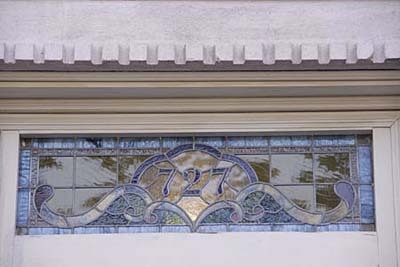 Stained glass Number 4 ! Hmm... I think I like #2. Thanks all of you for your answers! I love knowing what each of you like or dislike! JFF I swear I try to open your blog every single day and I still can't! I even tried on three different computers and nothing. I'm going to ask my sister to try for me so you might be getting a comment from her soon! A big kisses in you heart! 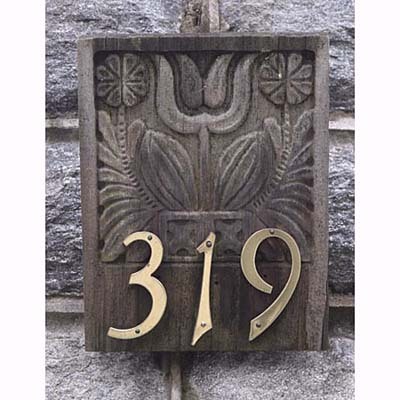 Black and white is a classic color scheme for a house number plaque, but consider the colors in your home's exterior. 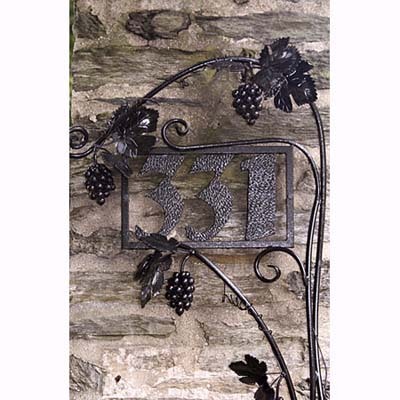 Perhaps your house number plaque would look better in blue on white, yellow on black, or even something a little wild like orange on blue. 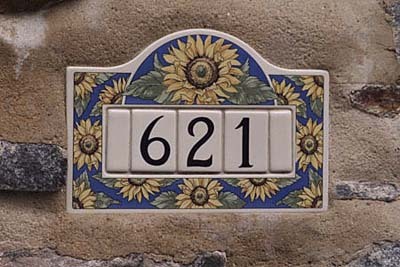 You can use your house number plaque to show the colors of a favorite sports team, coordinate with your garden, or match your car.